Among other things especially the movie "Batman: The Dark Knight" is the cause for the high popularity of this topic. Despite the fact that I really liked the movie I want to focus a little bit on the roots of this success: great comics! 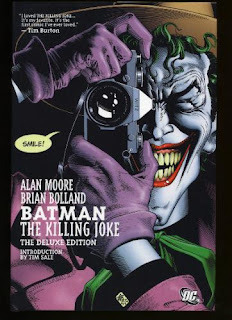 I already wrote about Frank Miller's "Batman: The Dark Knight Returns", therefore I want to recommend three a other ground breaking Batman comics - written by three famous artists: Frank Miller, Alan Moore and Grant Morrison. 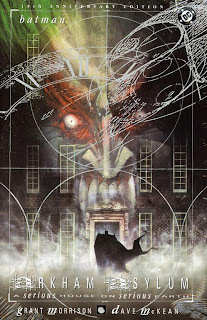 One is about the early days of Batman, one about the early days of the Joker and one is about the most psychotic enemies of Batman - all three stories are exciting and profound, and have become classics in the comics genre! A young Bruce Wayne has spent his adolescence and early adulthood, traveling the world so he could hone his body and mind into the perfect fighting and investigative machine. But now as he returns to Gotham City, he must find a way to focus his passion and bring justice to his city. 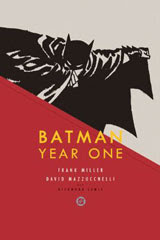 Retracing Batman's first attempts to fight injustice as a costumed vigilante, we watch as he chooses a guise of a giant bat, creates an early bond with a young Lieutenant James Gordon, inadvertently plays a role in the birth of Catwoman, and helps to bring down a corrupt political system that infests Gotham. The inmates of Arkham Asylum have taken over Gotham's detention center for the criminally insane on April Fool's Day, demanding Batman in exchange for their hostages. Accepting their demented challenge, Batman is forced to endure the personal hells of the Joker, Scarecrow, Poison Ivy, Two-Face and many other sworn enemies in order to save the innocents and retake the prison. During his run through this absurd gauntlet, the Dark Knight's must face down both his most dangerous foes and his inner demons.